You Are Here: Home > About Us > Did you know? Did you know? 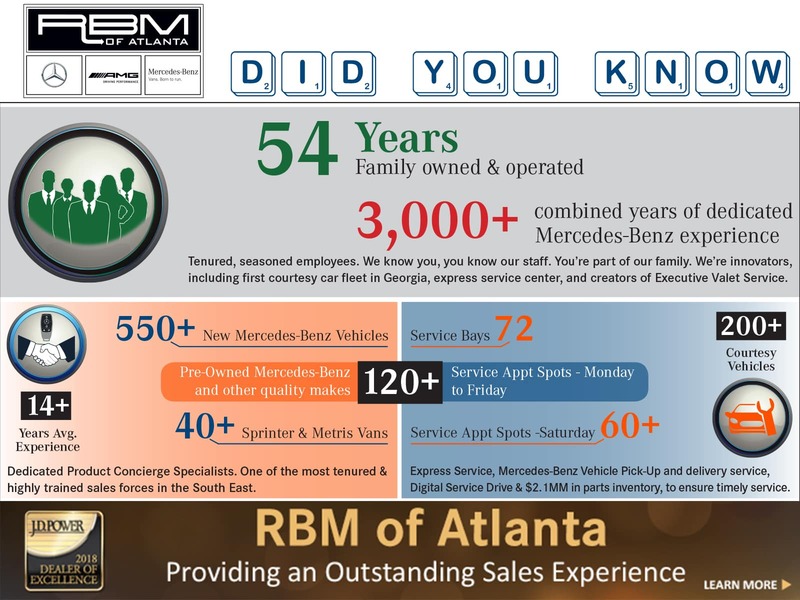 RBM of Atlanta is proud to be part of community of greater Atlanta for 54 years. We are family owned and operated and have resided in Sandy Springs since 1988. Here are some of our achievements that we’re very proud of, but couldn’t have done it without our great customers and employees. We’re proud to be able to offer the highest availability in both sales and service. 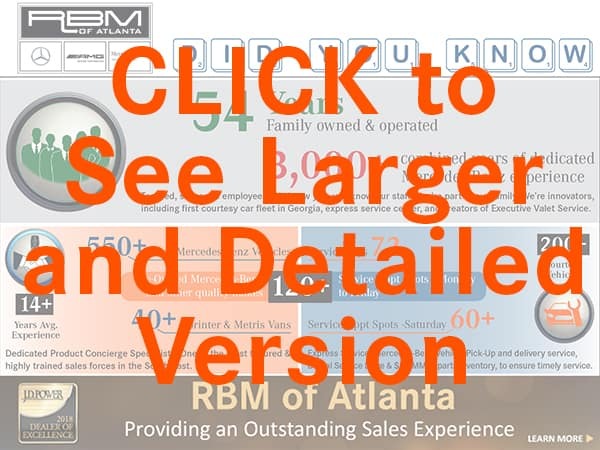 We strive to keep both our employees and customers within the RBM of Atlanta family. This is a dealership where we know you and you know us. We believe in longevity and we earn that one customer at a time. We’ve had the pleasure seeing generations of customers come through our dealership, our original customers are bringing in their grandchildren to do business with us (we are honored and grateful). We are proud to say that we have generations of employees working with and for us; father and son, father and daughter, mother and son, mother and daughter. We are honored to serve Atlanta, Sandy Springs, Roswell, Norcross, Marietta, and all of greater Atlanta. We look forward to you joining our family and look forward to keeping you part of our RBM of Atlanta family.